Translated Into Navajo, 'Star Wars' Will Be The Navajo Nation and Lucasfilm have teamed up to translate the original Star Wars movie into Navajo, entertaining those who already speak it, and teaching newcomers about the language and culture. 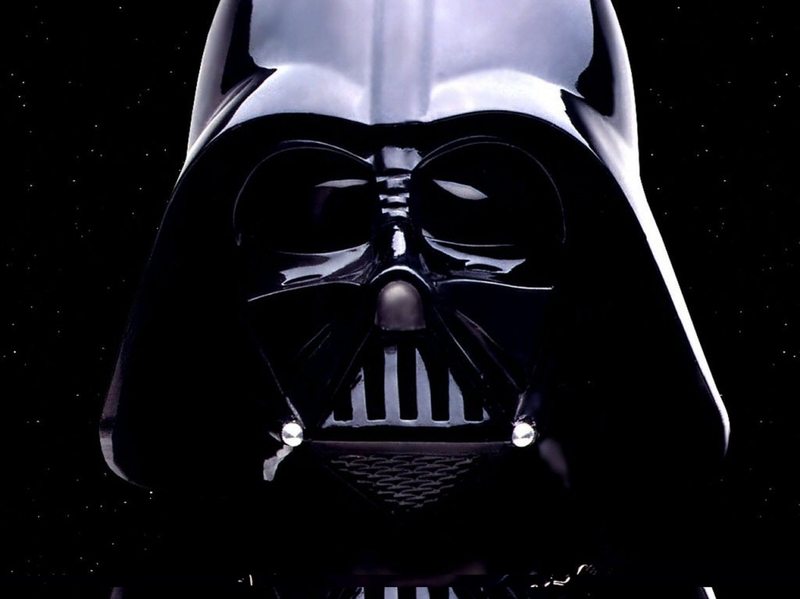 Characters like Darth Vader make syncing a movie somewhat easier, because they deliver their lines behind a mask. When Dave Nezzie met his future wife, Amanda, they quickly fell in love over a galaxy far, far away. "I think that was one of the first things that bonded Dave and I together, was our love for Star Wars," says Amanda Nezzie. "Our children have also caught the Star Wars bug." The family lives in Albuquerque, N.M., and one of the biggest struggles they've had living off the reservation is teaching Dave's native Navajo language to their kids. "Rosetta Stone has something, there's an app on the iPad, and having alternatives is what we need," says Dave. "Having more resources available will help us teach the language to more people." On July 3, the 1977 movie Star Wars Episode IV: A New Hope will premiere dubbed in Navajo. It's the first time a major motion picture has been translated into a Native American language. Manuelito Wheeler, director of the Navajo Nation Museum, got the ball rolling. He approached the Navajo Nation and Lucasfilm, and the project took off from there. "This was an idea that I felt was a way to promote our culture, promote our language, a way to save our language," says Wheeler. "There are definitely Star Wars nerds out there who can repeat that movie verbatim, and they speak no Navajo. And so when they're watching this and it's in Navajo, it's them learning Navajo." But translating the film into Navajo was no easy feat. When dubbing a film into another language, syncing the translation with the character's lip movements is crucial to the pace of the film. Wheeler's wife, Jennifer, a professor of English at the University of New Mexico, Gallup, was a translator for the project. Some words, like "droid," she says, are difficult to translate because of how complex the words are. "R2-D2 would be the short metal thing that's alive," she says. So, the translation for droid? That won't be revealed until the premiere. But in some ways, the syncing process might be somewhat easier for Star Wars because characters, like the infamous villain Darth Vader, deliver their lines behind a mask. Beyond the fun of translating phrases like "Death Star," Jennifer Wheeler says the whole project demonstrates that the Navajo language is still alive. "This will be one historic event that will celebrate and recognize the fact that we're just part of society here, in this Western society, in this country," she says. "But who we are as Navajo people living in this century, we really need to celebrate." Dave and Amanda Nezzie, and their kids are looking forward to sitting down to watch Star Wars in Navajo. They're traveling to Window Rock, Ariz., for the premiere, which is taking place as part of the Navajo Nation Fair. At this time, Lucasfilm has no plans for a wider theatrical release or DVD version of Star Wars in Navajo. "I wanna hear what 'Millennium Falcon' is in Navajo. I'm very curious," says Amanda Nezzie. "And our daughter, she'll be able to speak Navajo, she'll understand who she is. And what more of a beautiful way to do that than put that in Star Wars?"